The world’s festival WOMAD is back for its thirty-fifth year as a vibrant, joyful and timely reminder that in a world where division and isolation are increasingly prominent, music can still bring people together from all around the globe. As well as musicians from every imaginable background WOMAD will play host to its usual dizzying mix of art, dance, food, wellbeing, discussion and family activities, all taking place in the spirit of fun, diversity and originality that has made it an institution among summer festivals. To kick things off we can reveal the first names of those appearing at this year’s gathering at Charlton Park near Malmesbury in Wiltshire between 27-30 July. Ever since they appeared on Paul Simon’s Graceland album more than three decades ago, Ladysmith Black Mambazo have been a household name right across the globe, thanks in no small part to their near-constant touring schedule: “we are the travelling musical academy for South African culture,” they proudly boast. And their trademark sound – that weightless, dignified choral singing – still sounds as stirring today as it did when they formed in the mid-60s. There’s plenty going on in 2017’s chaotic world for Benjamin Zephaniah to take his pen to. And he’s back to voicing his discontent through the medium of music, with the heavily honoured poet striking up the band again for his latest musical project – Revolutionary Minds. Expect Benjamin’s ever-sharp literary barbs to take aim at a planet caving in on itself. Like Benjamin, Emir Kusturica is something of a polymath, a man with the confidence and talent to turn his hand to many things, whether it’s film-making, acting, writing or music. When he puts on his musical hat, the Serbian is found in the company of The No Smoking Orchestra, his ragged band of musical miscreants who deliver a wild, iconoclastic (and sweat-soaked) take on East European gypsy and folk traditions. Shobaleader One is the side project of Squarepusher, a live band that also features the equally mysterious monikered Strobe Nazard, Company Laser and Arg Nution. They specialise in full-band revisits of Squarepusher classics from over the years, adding a vital, visceral dimension to tunes already held dear by the great man’s acolytes. Alsarah, a Sudanese refugee now adding more depth and definition to American culture, has been described by The Guardian as “the new star of Nubian pop”. With her effortlessly slinky collection of songs, we’re inclined to agree. With members of jazz-funk collective Snarky Puppy at its heart, Bokanté are fronted by Guadeloupe-born singer Malika Tirolien and her goosebump-inducing voice. This is jazz-soul-rock dipped in rich and satisfying Creole flavours. Of all the practitioners of Saharan blues, Bombino (aka Omara Moctar) is undeniably the one who rocks out the most. While his sound is deeply rooted in his Tuareg heritage, he clearly counts Jimi Hendrix and Jimmy Page among his guitar heroes. Boisterous, cobweb-banishing outfit who supercharge the sound of cumbia with the twin fuels of ska and rock. Strongly recommended to fans of Mano Chao and former WOMAD favourites Los de Abajo. Rootsy rhythms from this multi-membered outfit with an excellent line in Afro-Colombian folk sounds from the country’s Pacific coast. Young but high-pedigree folk outfit led by fearsome accordionist Jamie Smith. Live, they’re a dizzying, dazzling celebration of this sceptred isle’s various Celtic corners. The latest project of producer Ian Brennan (Tinariwen, Malawi Mouse Boys, Hanoi Masters), the Khmer Rouge Survivors are a collection of Cambodian musical elders who play, in the words of The Observer, “slow, eerie, south-east Asian blues”. Haunting music from northern Europe. Maarja is both a vocalist and fiddler, two disciplines she handles with immaculate care and precision. And, somewhat bizarrely, she counts Duran Duran’s Simon Le Bon among her fans! Evocative sounds from this collective drawn from several countries through which the Nile runs. The great river is the source of both their social commitment and their musical inspiration. Heavy on the horns, this Gilles Peterson-endorsed ten-piece outfit from Sao Paulo lay down fluid jazz-funk that appeals to both the brain and the body. This East African band focus in on taarab music, the sound of their island homeland that’s a timeless and beguiling mix of Arabic and European traditions. This wonderfully eloquent singer seamlessly merges traditional Sephardic and Greek songs with a tasteful, avant-garde sensibility that’s seen her record countless albums for the mighty contemporary classical/jazz label ECM. Light relief – and a collection of exotic headware – comes from this tongue-firmly-implanted-in-cheek male voice choir from (New South) Wales. One particular highlight is their “Swedish folk song” – aka Abba’s Dancing Queen. DJ, producer and remixer (for the likes of Orbital, Leftfield, Goldfrapp and Gotan Project among legions of others) and who promises “a funk-filled, emotive and soulful mix of futuristic bass, deep house, techno, electro boogie and garage”. Irrepressible ensemble playing the music that accompanies births and deaths in central-eastern China. There’s oodles of energy in their performances, making them kindred spirits with many East European gypsy bands. This inimitable range of sounds is just the first installment, with more artists and features to be announced over the coming months. WOMAD’s Global Festival Director Chris Smith said: “This is the perfect collection of artists to kick off WOMAD 2017. 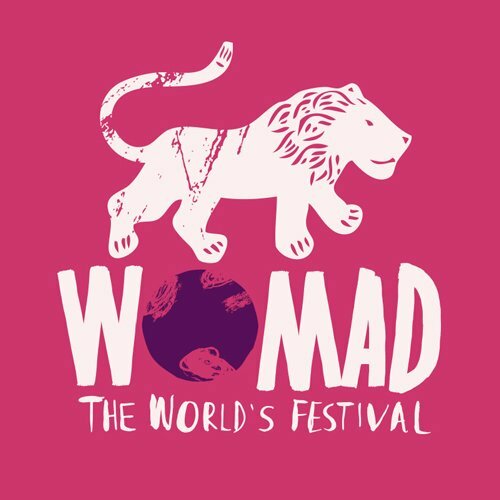 Some new faces and some old friends returning after a long absence, all of whom I’m certain will demonstrate the extent to which WOMAD still, after thirty-five years, has the power to surprise people and give them a musical experience they’ve never had before. Tickets for WOMAD Charlton Park 2017 are available here.